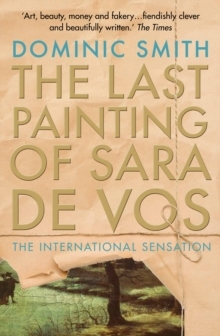 A great hit with both book groups recently has been The Last Painting of Sara de Vos by Dominic Smith. Unanimous praise is unusual in either group but this book achieved that. Even those who were unable to make the meeting e mailed in their thoughts and appreciation. The stand out quality was the beauty of the writing coupled with the likeable characters in a clever narrative about the art world and art forgery that spanned the centuries from the Netherlands in the 1600s, 1950s New York and briefly present day Australia. The readers in the group variously 'motored' 'floated' and 'flew' through this book, a page turner deftly dealing with profound human issues. Dominic Smith should be spoken of in the same breath as Donna Tartt and Sebastian Faulkes. I hope there is more to come from him. Both groups will be discussing City of Lions, by Jozef Wittlin and Philippe Sands. There are two book groups that meet in the shop on the first Tuesday and Wednesday of each month. Both groups are run by a benign dictator who chooses the books which are usually those that have recently been published in paperback. Roughly two thirds are fiction and the rest are non fiction of different kinds. If you would like more information please get in touch. 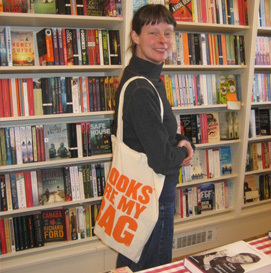 We are always very happy to help out with suggestions for your own book groups and you can keep up to date with what we are reading by visiting this site.